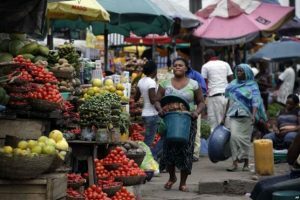 Nigeria inflation breaks eighteen-month trend after surprise elven-point-two percent rise in August – Royal Times of Nigeria. Nigeria’s inflation has increased to eleven-point-two-three percent in August 2018 from eleven-point-one-four per cent in July. The National bureau of Statistics said this in its report released today. The bureau stated that this is the first year on year rise in headline inflation following the eighteenth consecutive decline in the inflation rate. Increases were recorded in all divisions that yielded the Headline index. On a month-on-month basis, the headline index increased by one-point-zero-five per cent in August 2018, down by zero-point-zero-point-eight per cent points from the rate recorded in July 2018.